So here’s the reality. Things happen that push our buttons. We may get stressed, tearful or angry and that’s when we are likely to do or say something that we feel bad about later. Sometimes life is more stressful than at other times, usually when you have to juggle many things at once. I like to think of it as we have a bucket of stressors. Throw this stress in and we are fine, throw in a couple of more stressors and we are just about okay, but it is that last thing that comes along that makes your ‘stress bucket’ over full and everything gets totally overwhelming. 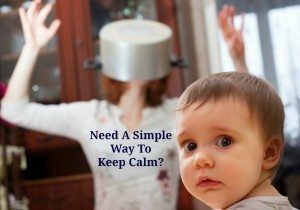 We need to look at all the things you have in your ‘stress bucket’ and see what we can get rid of so the things we can’t change are more manageable but first I want to share with you a quick and easy way to calm down fast. It really works, so please try it. First of all here’s some background. Originally named for its ability to enable us to physically fight or run away when faced with danger, this response is now activated in situations where it isn’t appropriate, like in traffic or during a stressful day at work. 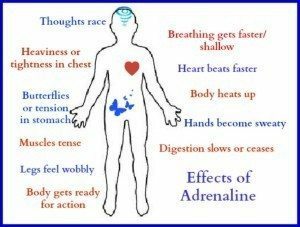 Adrenaline can make you feel very anxious or angry. Your thoughts are racing so you are not thinking clearly or logically and that is why you are likely to say or do something you later feel bad about. So quick! What Should You Do To Keep Calm? First notice what is going on. This is the first step to changing anything. Recognize that you are feeling overwhelmed and that everything you are feeling in your body is due to adrenaline. The way to counteract these feelings is to engage our parasympathetic nervous system by deep breathing. Basically, deep breathing and adrenaline can’t co-exist in the same body. 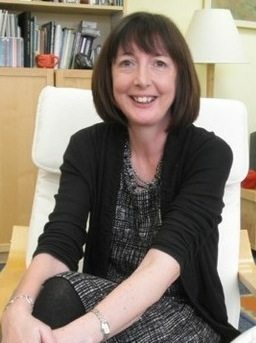 Deep breathing triggers the stimulation of the vagus nerve—a nerve running from the base of the brain to the abdomen, that emits a neurotransmitter (acetylcholine) that dampens our nervous system, lowering heart rate, relaxes muscles and most importantly, stops your thoughts from racing so you can think straight. In effect, the relaxation response is the anti-fight or flight response! 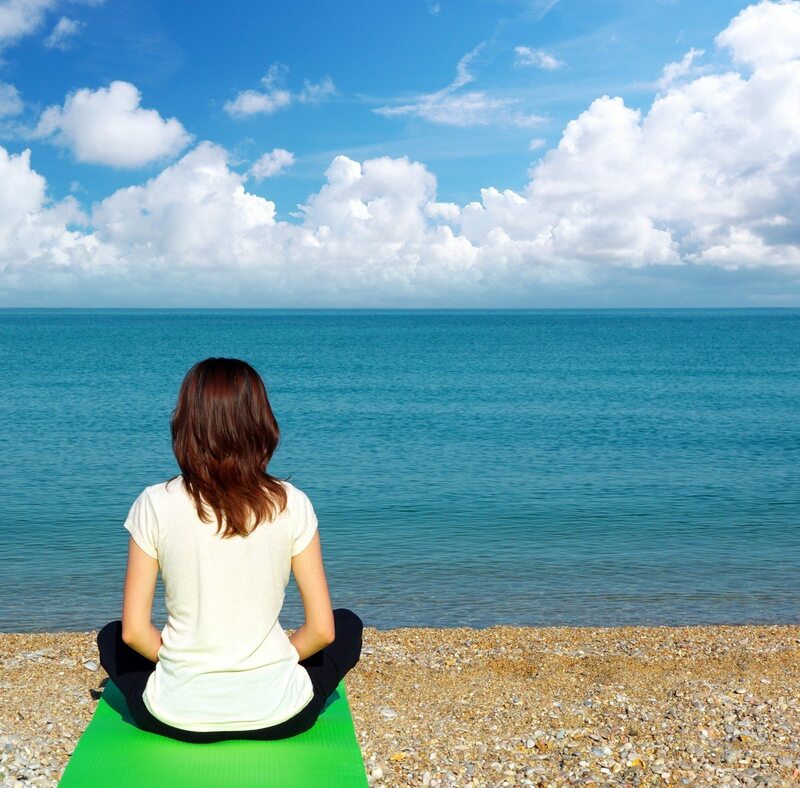 Remember, the purpose of calm breathing is not to avoid anxiety or conflict at all costs. It is a really useful technique to take the edge off your anxiety or anger and it can help you “ride out” the negative feelings. That way, when you feel calmer, you can use strategies to challenge the thoughts and behaviors you have that are unhelpful to you. Paced breathing can be done any time you need to calm down quickly. It would be lovely to do it sitting in the sun on a beautiful beach like the photo above but usually you don’t feel angry or stressed on a beach! Paced breathing is very versatile – it works anywhere and everywhere. Sitting upright is usually better than lying down or slouching, because it can increase the capacity of your lungs to fill with air. It is best to ‘take the weight’ off your shoulders by supporting your arms on the side-arms of a chair, or on your lap. 4. Make sure the exhale breath is one or two counts longer that the inhale breath as this activates a greater relaxation response. About 6-8 breathing cycles per minute is often helpful to decrease anxiety, but find your own comfortable breathing rhythm. A lot of my clients have reported that they find this techniques works even better if you increase the number of breaths each time e.g. Start from the count of 4 again and repeat the cycle. You do not need to be feeling anxious to practice – in fact, at first you should practice while feeling relatively calm. You’ll gradually master this skill and feel the benefits! Once you are comfortable with this technique, you can start using it in situations that cause you stress. We have a body reaction due to the fight or flight response. Say to yourself – “I can cope with these feelings, I’ve got through it before. This will pass”. This information about how to do paced breathing is summarized in a tear-out sheet in my free booklet Simple Steps To Overcome Anxiety & Worrying. There is also a lot of other helpful information that highlights areas of your life where you can make small changes, which added together result in big changes in your mood. 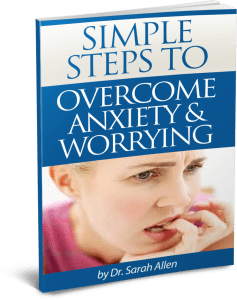 If after reading the booklet you feel ready to start working on reducing your anxiety but need support, I can help you overcome worrying in one-on-one individual counseling sessions.